NOTE: Used earrings should NOT be consigned. 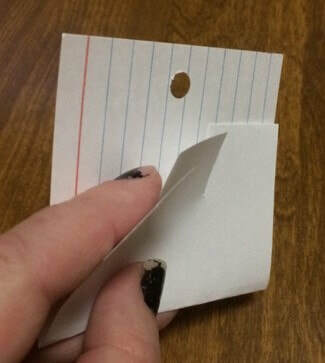 First, fold the index card as shown, not completely in half. The back should stick up further than the front. 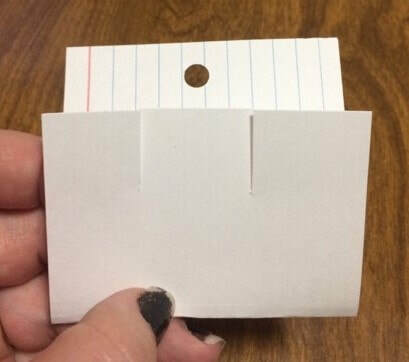 Cut two slits in the front of the card, and punch a hole in the back of the card as pictured. 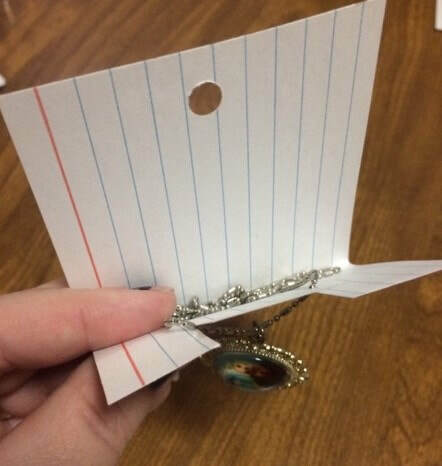 For Small necklaces/chains: Put the pendant through the slits so that it hangs down in the front with the chain going in the middle of the card. 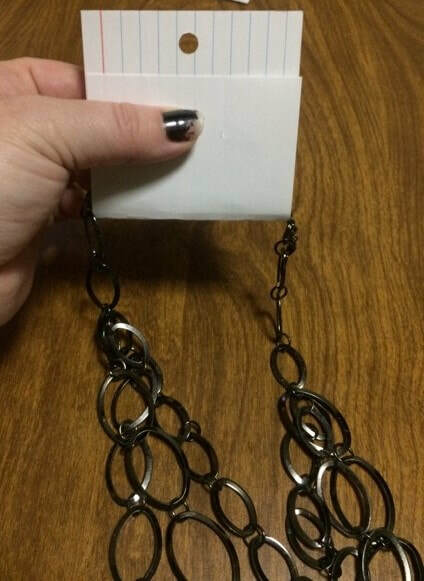 For Larger/Chunky Necklaces and Bracelets; Fasten the piece and drop it down to the fold (the slits aren't actually needed for this). 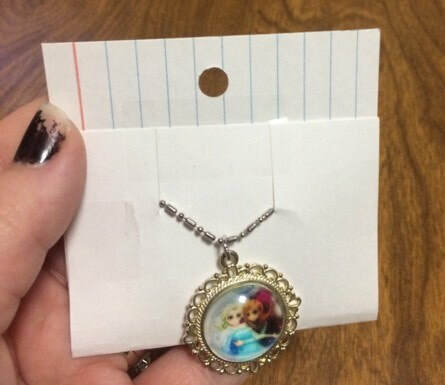 Use three pieces of tape to secure the jewelry in the card; One at the top of the front (just below the hole), and one on each side. 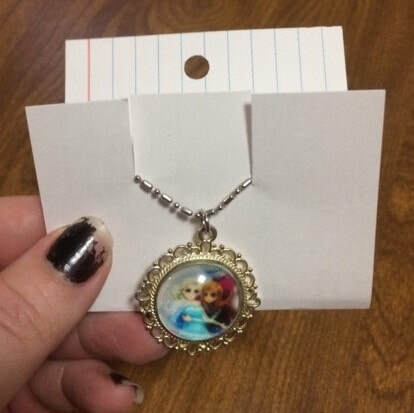 Tape should not be on the jewelry. 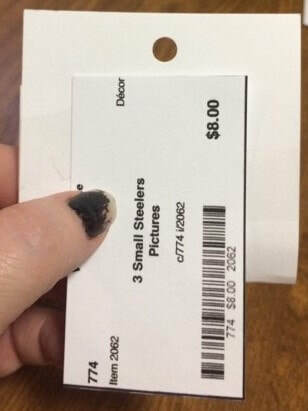 Attach the tag to the back sideways (as shown) being careful not to cover the bar code with tape.